From what or where do you get your ideas? It’s a common question asked of authors. For me, inspiration can strike at any time, in any place, and from anything. A love of history, a fascination with 18th century pirates, and a cruise around the Caribbean Islands inspired my first published novel, The Pirate Lord. 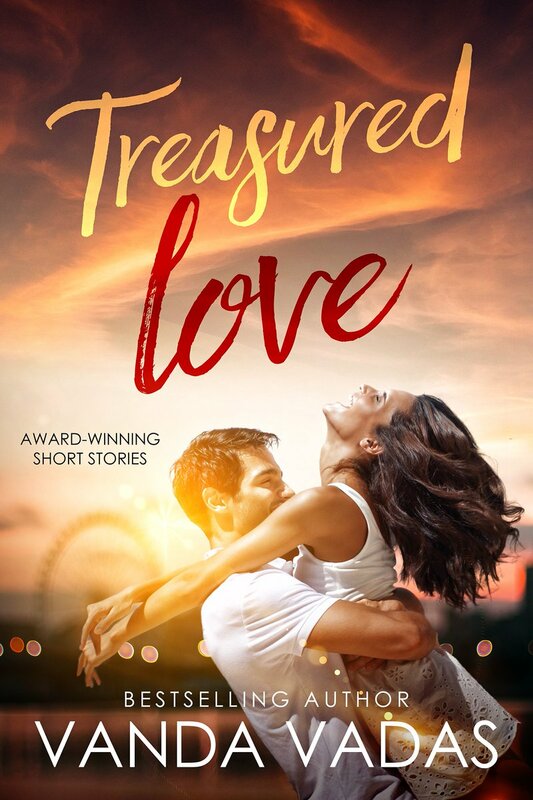 My new release, Treasured Love, is a collection of romantic short stories. Here’s a glimpse into each tale and its backstory . . .
A deck of cards and a visit to Jupiter’s Casino on the Gold Coast inspired the idea behind Queen of Diamonds. Grace is a croupier at a casino, the consummate professional with unwavering concentration. She is caught off-guard when a stranger with piercing blue eyes takes a seat at her table. Blackjack is not the only hand he sets out to win. Leura is one of my favourite destinations in NSW, Australia. While walking down a grand tree-lined driveway shrouded in mountain mist, an idea sparked. From that, I wrote A Passionate Love. Cherry Tree Lodge in the Blue Mountains of NSW, Australia is no ordinary Bed and Breakfast. It harbours a secret, one that is connected to a Bohemian brooch, a photograph and a child’s wisdom. Truths are revealed in the indelible footprints of a passionate love. Lovin’ You came about when observing afternoon sunlight filtering through cedar blinds. Compromise is a two-way street. Not so for Connor and Kate. Consequent to personal sacrifice and broken promises, their marriage is on a downward spiral. Salvation is at hand if only fears are faced. My cocktail of choice is a Martini and so the idea behind Liquid Sapphire sprang from a particular glass bottle. Josh works nights as a barman in an exclusive hotel. When a woman his age enters the bar in search of employment, Josh has good reason to stare. She’s dressed like a cowgirl ready to rope a calf in a country rodeo. What could she possibly know about champagne, swizzle sticks and cocktails? As for the fifth story? There’s a place called Winter Hill, in Buckinghamshire, England. It affords picturesque views over the Thames Valley and Chiltern Hills. Special memories of this locale inspired Unbroken Bonds. Finding your soul mate is one thing, marrying her and never letting go is another. Cedric succeeded on all counts. No regrets. Even though he now fights a losing battle, nothing can sever the ties with his one true love. We all know that love is not limited to age. It’s timeless and for the young and the mature at heart. Be it that sizzling first meet-cute romance or a time-tested relationship, this collection of touching tales demonstrates themes of love, loss and marriage. I hope you will enjoy reading these five short stories about the first meeting between two people, about couples who’ve found in each other their soul mate, and how love can endure and stand the test of time.